Today’s deals roundup includes a couple of laptops, a bunch of cameras, and even a smart speaker. 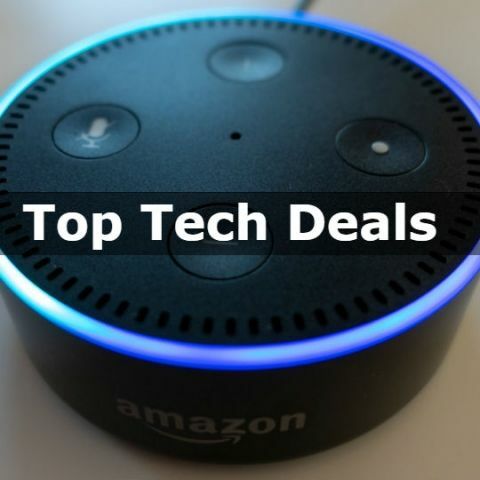 For today’s deals roundup, we have put together a selection of products that includes a couple of laptops, an Amazon Echo Dot smart speaker, a couple of DSLRs and even a GoPro. So let’s begin shall we. As the name would suggest, the Lenovo PA13000mAh Power Bank sports a 13000mAh battery. The company even goes on to claim that it can charge a 2000mAh smartphone upto five times. It has two USB ports that allow you to charge up to two devices simultaneously. The power bank weighs 281g, and comes with a set of LED lights that let you know how much charge is there in the device. You can purchase this device from here. The Amazon Echo Dot is a smart speaker that comes with the company’s own digital assistant, Alexa. The speaker lets you book a cab, play music, order food and even ask questions. It can be connected to external speakers via Bluetooth or a 3.5mm cable. The smart speaker supports the company’s beamforming technology, that aims to ensure that the speaker is able to hear you clearly. Take a look at this device here. The PS4 Pro is an upgrade version of PS4, the console allows you to enjoy games and movies in 4k resolution.The exciting part of the deal is that you will get an additional Dual-shock controller within the offer price. Purchase the controller from here. The Acer Nitro is a gaming notebook features a 2.80GHZ Intel Core i7-7700HQ processor. The laptop is powered by 16GB DDR4 RAM with 1TB HDD and 128GB SSD. It is equipped with NVIDIA GeForce GTX 1050 Ti and features 15.6-Inch FHD screen with a resolution of 1920 x 1080 pixels. You can take a look at this device here. The Lenovo IdeaPad 320E is powered by a 6th Gen Intel Core i3 processor with 4GB RAM and 1TB HDD. The laptop packs a 15.6-inch display laptop and sports 2 USB ports, 1 HDMI port, and 1 USB Type-C port. You can purchase this device here. The Nikon D3400 features a CMOS sensor type with an AF-p- 18-55mm + 70-300mm lens. The 24.2MP camera is available with a free DSLR bag and a 16GB memory card. You can buy the camera from here. The Canon EOS 1300D features a CMOS sensor type with an 18MP APS-c size sensor and the Digic 4+ image processor. In terms of connectivity, the camera comes with Wi-Fi and NFC. You can purchase the device here. The 1More Piston Fit sports a frequency response between 20Hz-20000Hz. The earphone weighs around 25gm and comes with inline controls through which you can skip the track, pickup the calls and control volume. You can check out the device here.